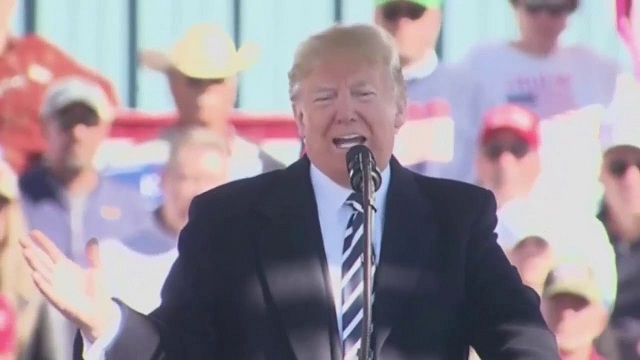 President Donald Trump attacked the "fake news" media for making people go "loco" at a rally in Nevada Saturday. Trump joked about how he will be criticized for calling women at his rallies "beautiful" because the media will "go wild" over it. "I'll tell you, these people have lost their way -- they've gone loco, headed by the crowd of fake news," Trump said. "I'll tell you, honestly, the single greatest ally that the Democrats have is the fake news media."